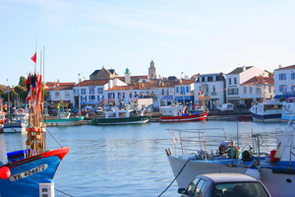 The Vendée has virtually every activity available as one would expect from the number one holiday destination in France. We have put together guides for the most popular activities, with as much detailed information and maps as possible. Below are short descriptions of these guides with a link to pages for fuller details. Opposite are quick links to specific activity topics. Walking. Without doubt the best way to see the region is to walk, you get closer and see more detail, and also get to a lot of places and see things that you would miss with any other form of transport. Cycling. In 2010 there will be over a thousand kilometres of cycle paths in the Vendée. The well marked routes, many of which are on specially constructed paths, are the best way to get to know the Vendée. The Department issue plans of the routes under the label "Les SentiersCyclables" you can find these and more information on cycling in the Vendée. Canoeing & Kayaking. With so many different types of water facilities throughout the Vendée many venues are available where you can practice your passion. There are also many places that hire the equipment. See canoeing in the Vendée . Bowling: This is not a particularly popular sport in the Vendée and as such there are just two Ten Pin Bowling alleys in the Vendée,. See bowling in the Vendée. Moto Cross With 20 circuits in the Vendée you will be spoilt for choice. See Moto Cross. Parascending. For those that want the thrill of hanging from a parachute while being towed behind a boat this activity is available at Les Circaetes, Les Sables d'Olonne. Tel.06 09 80 28 70. Skate boarding and Roller blades. Most larger towns, and even a few of the larger villages, have venues where you can skate board or roller blade and these are generally to a high standard. City Zebres. La Roche-sur-Yon Rue Benjamin Franklin, Zone des petites Bazinieres Tel.02 51 24 89 02 Indoor play center for 1 to 12 year olds. Ile aux Jeux Challans.An indoor leisure park for kids. 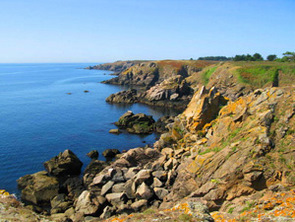 Ile-aux-Jeux, St Hilaire de Riez. Play centre of kids. Open April to September.